Found one file extension association related to Port Royale: Gold, Power and Pirates and 1 file format developed specifically for use with Port Royale: Gold, Power and Pirates. Port Royale is a business simulation game set in the Caribbean and partly the Atlantic during the 16th and 17th centuries. Created by Ascaron Entertainment in 2003, it combines business–economic simulation with real-time battles and towns that can be visited for trade and other purposes. Establish your reputation, build farms and plantations and construct trade routes throughout the many towns. But beware of notorious pirates who lie in wait to cheat you of your precious cargo! Set sail and embark upon your journey through the Caribbean. Trade, discovery and piracy thrive in the New World as you struggle for supremacy with the four great nations. Become a buccaneer by order of the government! Plunder and seize the towns of your enemies. Amass a commanding fleet and you could even strike the pirates first! During the naval battles all the ships, damage, smoke and blazing fires are displayed in stunningly realistic 3D. 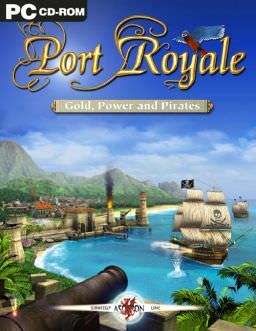 The Port Royale: Gold, Power and Pirates software seems to be old or discontinued. If you need more information please contact the developers of Port Royale: Gold, Power and Pirates (Ascaron Entertainment), or check out their product website.